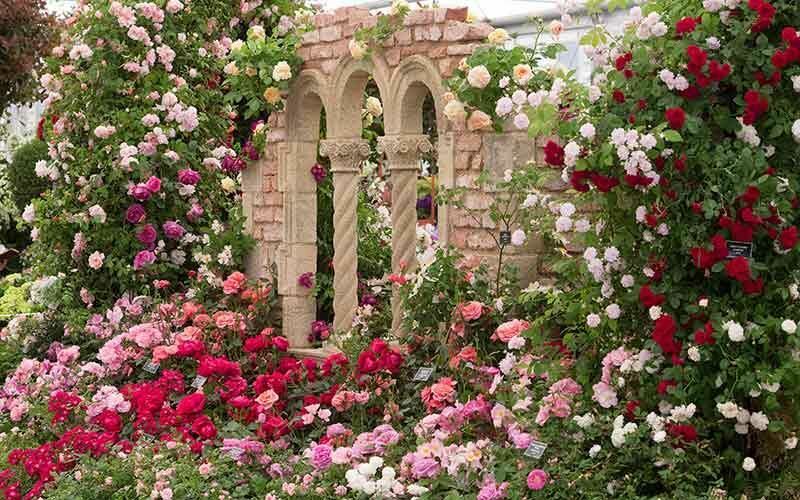 (Floribunda) Large trusses of single, pale magenta-lilac flowers borne on a strong, tall growing plant. ‘Brothers Grimm Fairy Tale’. Fully double, orange blooms with yellow reverse, turning pink with age. Dark green foliage. Bred by Kordes.